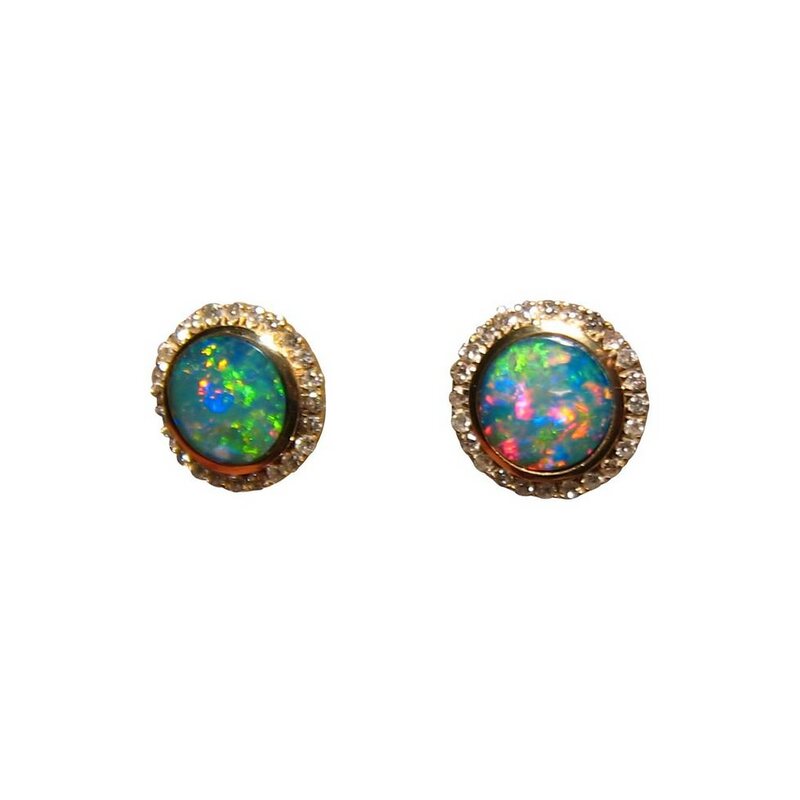 A stunning pair of Opal and Diamond stud earrings in 14k Yellow Gold. 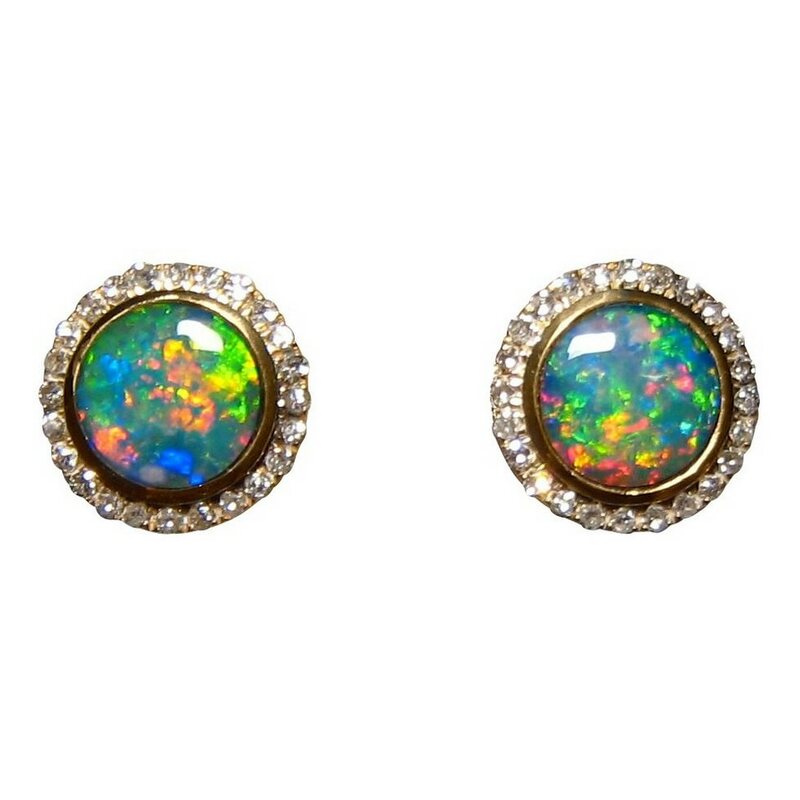 The round Lightning Ridge Opals having a unique play of color and are very bright. 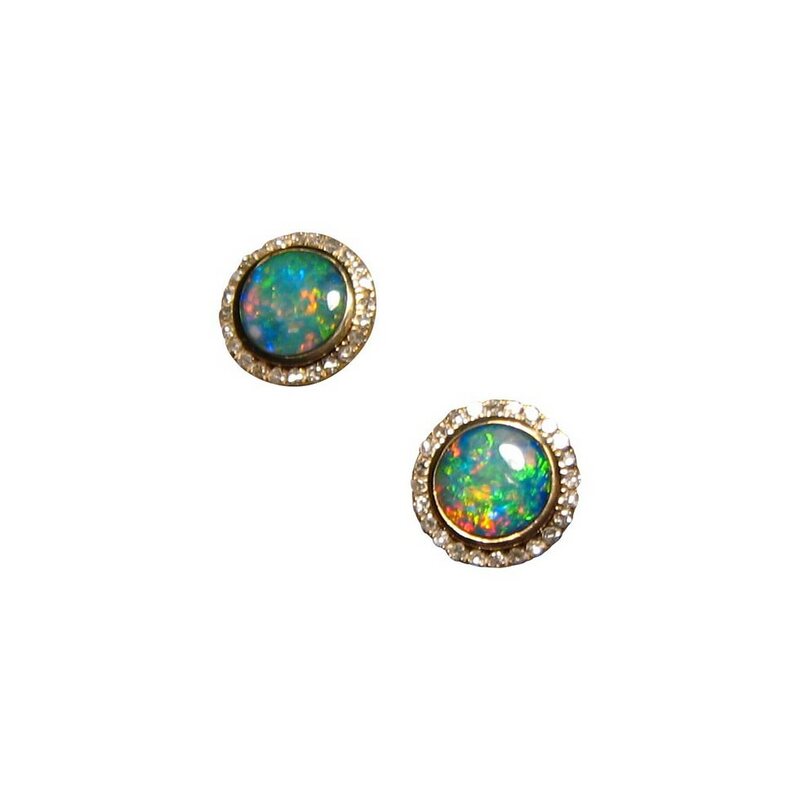 A very special pair of Opal earrings that are very bright and colorful and have a stunning pattern to them. 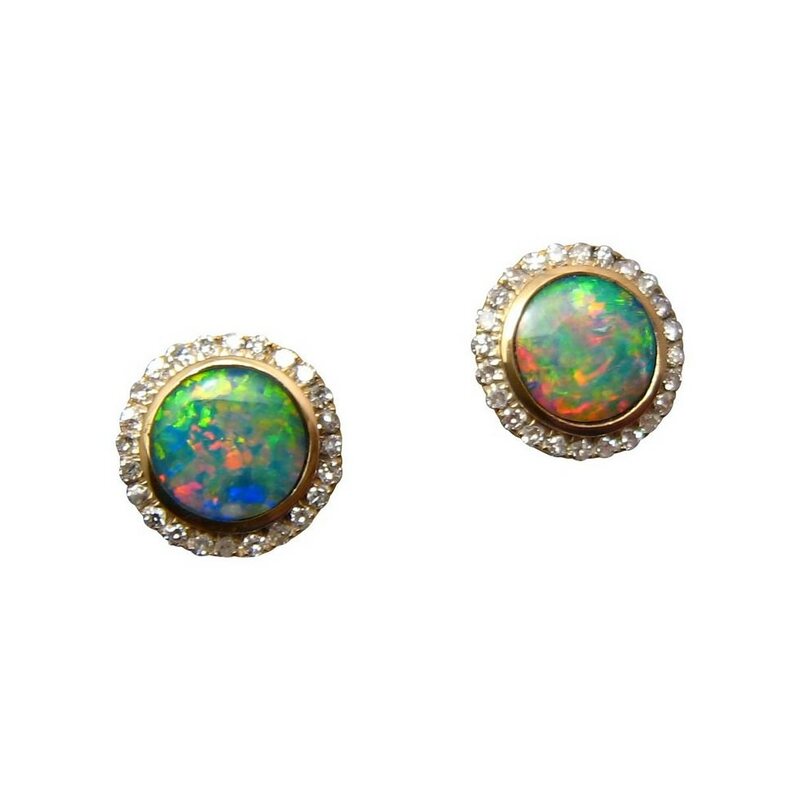 The round Opals are set in 14k Yellow Gold settings and are surrounded by a halo of small bright white Diamonds which add size and sparkle to the earrings. 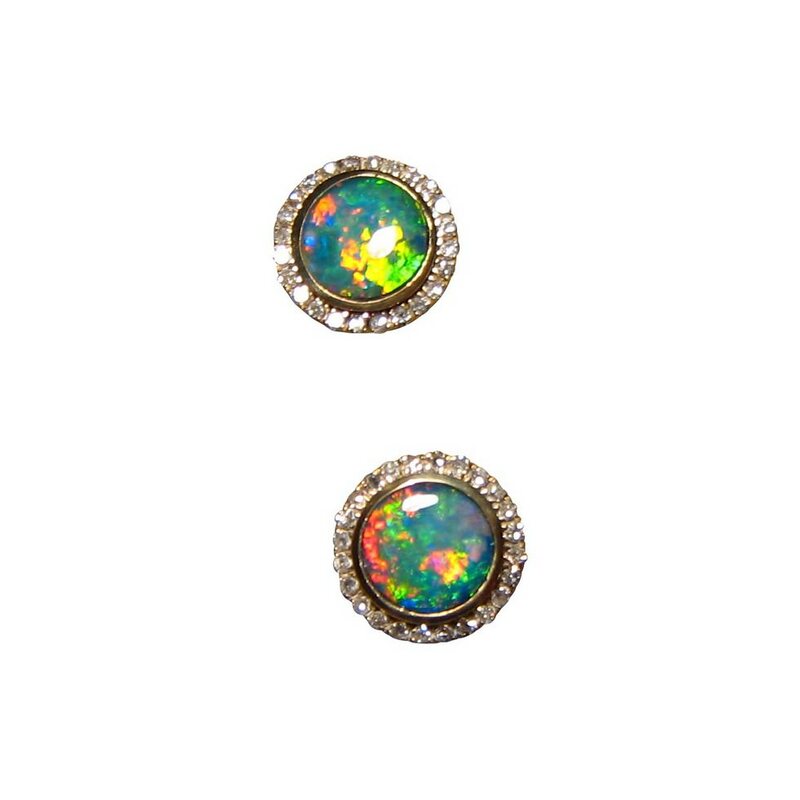 The video will best show the play of color which is quite unique being a Snake Skin Patch mixed with a Roll. 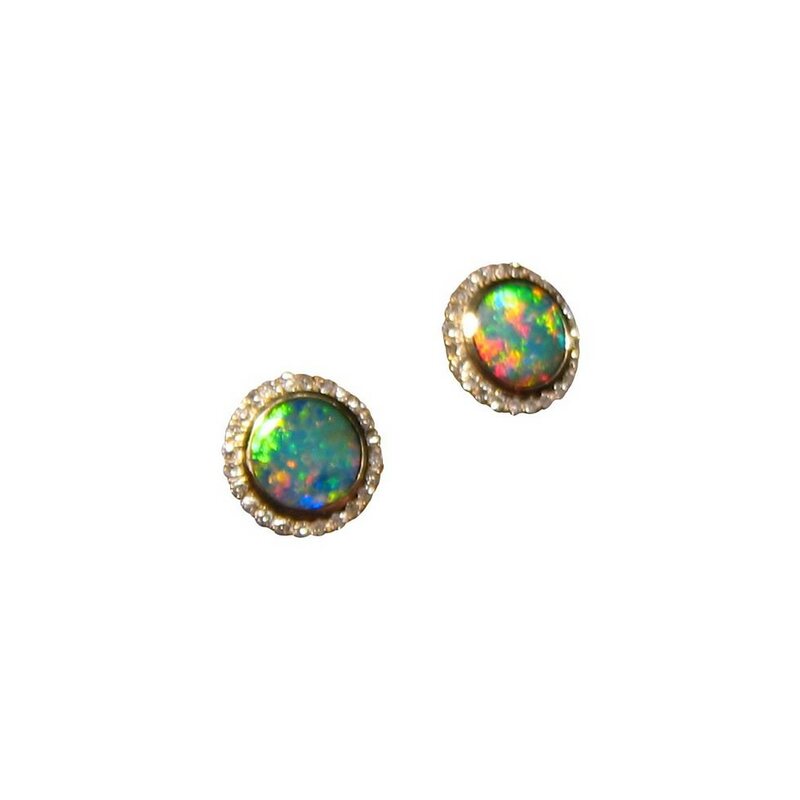 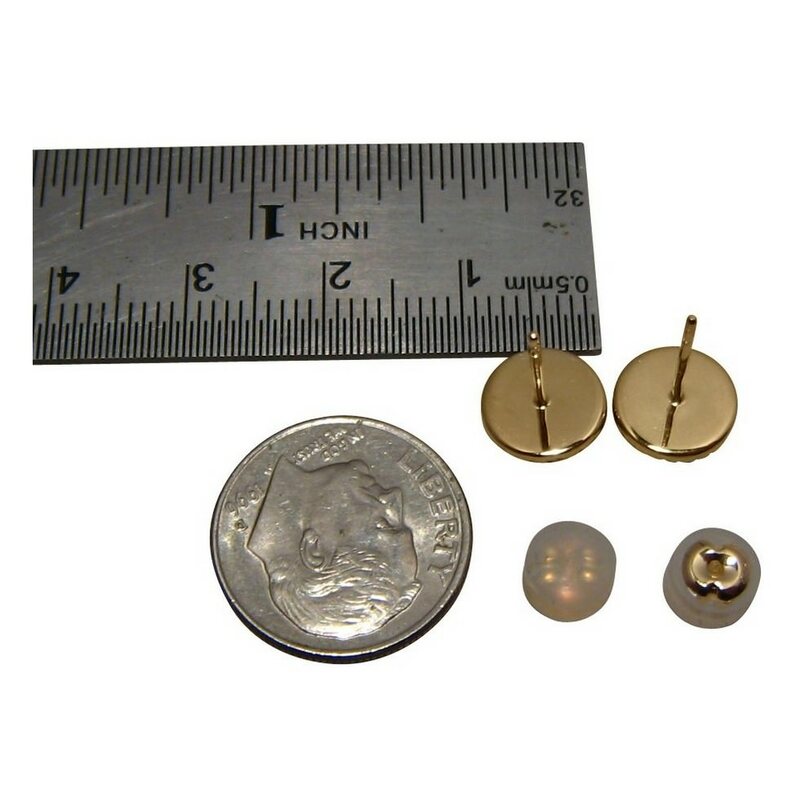 A beautiful pair of earrings that are 9 mm round and although not a large size, will be noticed and admired when worn.